William Newell, after whom Newell Rd is named, was a farmer who contributed significantly to the development of the agricultural industry. Newell’s farming career began in Epsom as a young man newly arrived from County Down, Ireland where he was born around 1863. Tamahere’s historic cemetery contains the graves of The Rev Joseph Clark and his wife, Ethel Mary Ball Clark, long-term owners of Riverlea, the historic homestead that still stands in the suburb that took its name. Joseph Clark, born in 1853, and Ethel Clark, born in 1856, were married in Auckland in 1902. Ethel bought Riverlea on October 9, 1913. 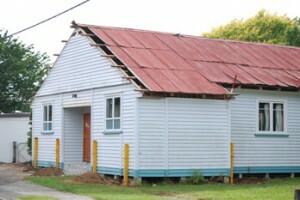 Tamahere’s 90-year-old hall is on the move. 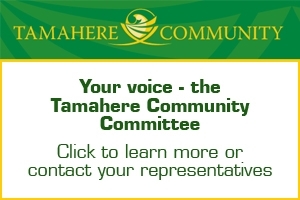 Members of the Taupiri Marae have been preparing the hall to shift to Taupiri all week after they acquired the one-time war memorial hall for just $1. 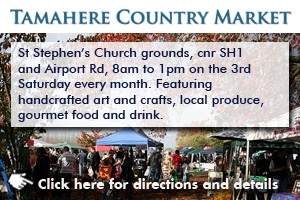 The Waikato District Council had previously tried to sell the hall, including listing it on Trade Me but got no takers. 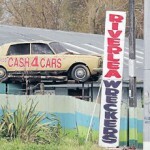 The Waikato Times has re-told the story of the landmark Roller on a stick, the 1968 Silver Shadow that is a very distinctive sign of Riverlea Wreckers and Tamahere. The Rolls Royce has been up on its pole for 20 or 25 years, the idea courtesy of Riverlea’s owner Bryce Lovegrove.